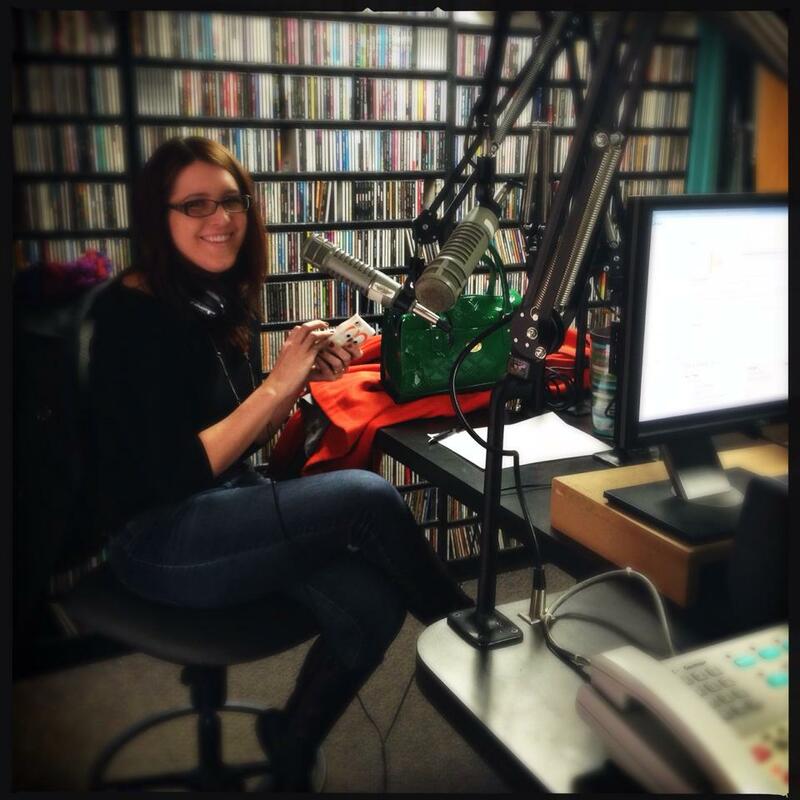 My good friend, Jen (aka DJ Carbon) is a volunteer DJ at our local radio station, WBER. She volunteers every Sunday morning from 8-10am. This week she asked me if I wanted to come along with her and be her guest DJ – of course I said Yes. This station has been around since 1985. I personally remember starting to listen to it in 1995. It’s a unique station because it’s listener supported and part of the BOCES training for radio and TV broadcasting program. It also allows local High Schools to have radio clubs and broadcast on the airwaves. They also try to keep in mind what listeners want to hear. They do Test Tracks – where they get listeners opinions on if a song should be in regular rotation. They also have events called “Juke Box Jurys” where they try to get a handful of people to come to the station and listen to a handful of songs/singles. Literally the song with the most votes instantly goes into rotation. Usually if there is a close runner up it will go into the Test Tracks or be part of the “Friday Morning Prospect Song of the Week” which is another Yes/No voting event to try to get a song into rotation. I got the station tour first. Even though I have been listening and winning CDs and concert tickets from the station for a long time I had never been here. It’s smaller than I imagined it would be (despite how I have seen photos before). Jen showed me the normal operations. Certain songs have already been plugged in for certain time slots leaving a handful of spots open for requests. I watched and listened to DJ Carbon do the first mic break. Going through the rundown of the stations ID, recently played songs, and plugging the upcoming station fundraiser. We received a call for a song request and a friend IMed over another request. Some of the songs weren’t in the library – DJ Carbon downloaded them onto her phone – checked the lyrics twice, to confirm they were radio-friendly (I helped with this) and then added them to the song log. I ended up being a guest on 2 mic breaks. My last minute DJ name was DJ Laurie Loo. I talked about Beck’s new album Morning Phase – and that he is coming to Toronto in June. I was super nervous during this one. I honestly think the part that weirded me out the most was wearing the headphones and hearing yourself talk as you are talking. I think the 2nd mic break went better. My friend requested a Baroness song and it just so happens that we went to see them back in August 2013 – so I knew more about them. I was able to craft a mini-paragraph that I felt comfortable saying on air. I wasn’t as nervous this time – still not shake-free, but better.